Directions: This is the first part of the Correct Usage Test which requires a good command in English Language. 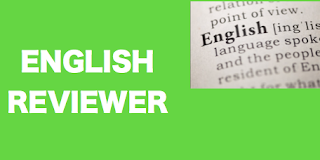 It will test how well you can communicate effectively in English. A blank in each of the sentences indicates that a word or a group of words has been omitted. Determine which of the 4 choices is the most appropriate to fill the blank in order to make the sentence correct using the radio buttons of the choices. Check your score and the correct answers by hitting "Get score" button and "Reset" button to take the test again. 1. Most first-graders in Singapore _____ Mandarin. 2. Cagayan de Oro appears to be on the _____ of an economic boom. 3. In Seoul, It only _____ two days to get a phone installed. 4. Stock market indices are good gauge ___ business confidence. 5. Read courtesy is often encouraged but ___ practiced. 6. Researchers ____ found a link between smoking and cataracts. 7. Many products are _____ designed using computer software. 8. Monkeys apparently know a thing or two ______ herbal remedies. 9. You _____ not need a flash if you use fast film. 10. Drug have emerged as ____ of the foremost concerns of this decade. 11. One ___ one, leaders of the December coup are being arrested. 13. Many of the Philippines' current peace and order problems _____ been experienced by Thailand. 14. Chinos began _____ military uniform trousers in the Forties. 15. Communist governments are being dismantled _____ Eastern Europe.